Nissan e-dams had their champion driver top in FP2 and the group qualifying, with his rookie partner not far behind. But it was Oliver Rowland who became the man in the super pole shootout as his teammate stuffed his Nissan e-dams into the barriers while the BMW i Andretti Autosport duo gave them trouble. Sam Bird was the first to venture out in qualifying, and decided on a preparation lap rather than gunning it from the off. Lucas Di Grassi did decide to go for it, and locked up on his first attempt into Turn 11. Jerome d’Ambrosio hooked up a much better first sector than Bird, who came in slowest of all runners to shock the field. Antonio Felix da Costa, meanwhile, put in a superb lap, four tenths ahead of the nearest runner to finish top of the first group. d’Ambrosio slotted into second, an improvement on the pace shown throughout the free practice sessions, while Di Grassi bested the Venturi of Edoardo Mortara while on his way to third. Envision Virgin Racing could well find themselves with a tricky race later. Much like his teammate, Robin Frijns was the first to exit the garage and hit the circuit in Group 2, also opting to prepare for a lap rather than chance it. 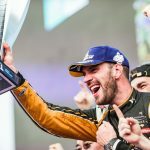 Andre Lotterer decided otherwise, and that strategy gifted him a net second. Frijns compounded the misery on Envision Virgin Racing with a sixth place finish, while Mitch Evans could muster no better than eighth after a brush with the wall. He managed to get away without suspension damage, but debris wrapped around his rear winglets. Pascal Wehrlein and Daniel Abt managed to slot in fourth and second respectively, booking themselves a spot in the super pole shootout for the time being. Da Costa still managed to lead the field by over four tenths, a testament to his stunning lap. Alexander Sims began the Group 3 attempts, and decided to throw caution to the wind early on. His first sector was a shade faster than that of his teammate, but over the full lap he slotted in second behind the Portuguese. Felipe Massa found himself undone once again by his Venturi teammate, slotting into twelfth while the struggling DS Techeetah man Jean-Eric Vergne clawed his way into the super pole places with fifth. 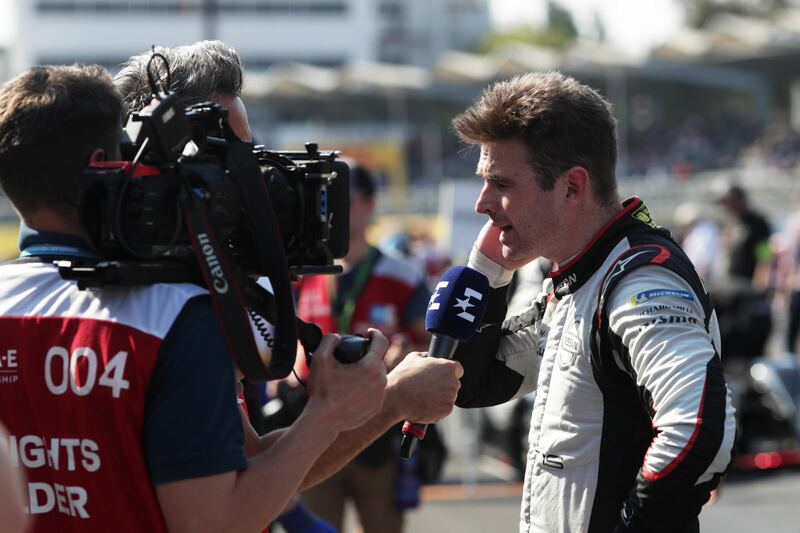 The two Nissan e-dams drivers came over the line first and fourth, Oliver Rowland booking his place in super pole for the time being while his former champion teammate Sebastien Buemi blitzed the Sanya circuit to take top spot. Oliver Turvey rounded out Group 3 with a meek 15th place in his NIO machine. Gary Paffett opened the Group 4 floodgates with a one-shot qualifying effort, putting in a lap full to the brim with bravado but low on pace. Running wide at Turn 8, the DTM champion came in slowest, 1.4 seconds adrift of Buemi. Nelson Piquet Jr. decided to do two warm up laps in order to find an advantage, while Paffett’s HWA Racelab teammate Stoffel Vandoorne found himself trapped within a spider’s web of traffic early on. Piquet Jr.’s warm up strategy backfired with his first sector over a second behind, in a period where all the runners were nowhere near challenging the top ten. Jose-Maria Lopez slotted into 14th, along with Vandoorne’s 13th a small victory among the underachievers in Group 4, while his teammate Felipe Nasr earned 17th, Tom Dillmann rescued 16th, and Piquet Jr. propped up the timesheets. Abt was the one to get the ball rolling in super pole, with his uneventful lap, save a brush with the Turn 8 outside barrier, amounting to a 1:08:331 and the provisional lead. Jean-Eric Vergne was up next, and managed to put his earlier braking troubles behind him with a lap 3 tenths up on his ABT Audi Sport Schaeffler rival. Oliver Rowland, FP1’s star man, went out third with the bit between his teeth. Pushing the boundaries of the track, Rowland’s 1:07:945 was enough for provisional pole. Alexander Sims was sitting idle on the pitlane, and was mysteriously wheeled back into his garage to have his BMW i Andretti Autosport car plugged in. Antonio Felix da Costa’s car, however, was able to venture out on track, and while third represented a decent effort, his near spin at Turn 11 compromised his run. 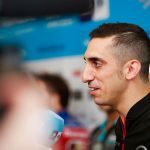 With Nissan e-dams looking set for a 1-2, Sebastien Buemi left the garage for his lap. And he ended it sixth, and in the barriers, at Turn 3. Nissan have the pole position, but the front row lockout was not to be.